Cook Like a Pro: Make Oreo Cookies From the Comfort of Your Home! The concept of biscuits has been around for a number of years and there are some companies which have perfected the art and one such biscuit brand is Oreo. Today, as part of our Cook Like A Pro series, we are focusing on something less common; making Oreos. 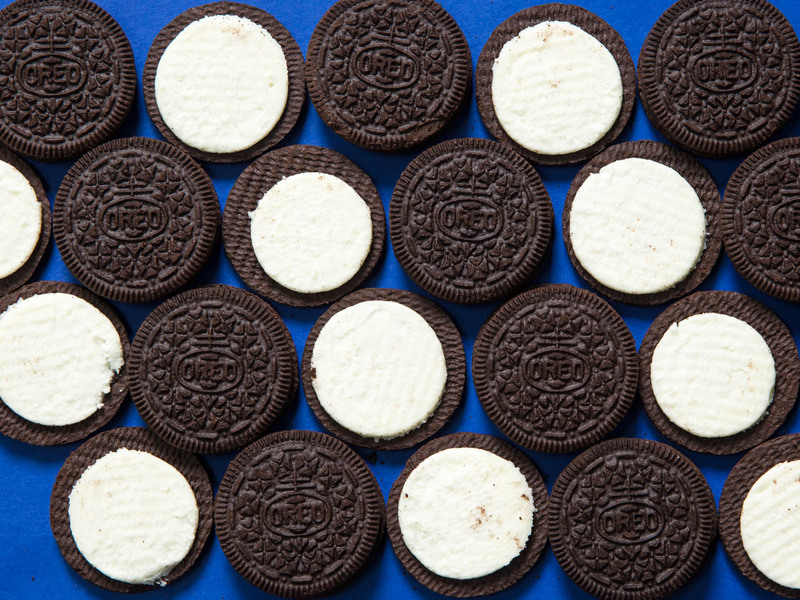 You can now make Oreos at home from scratch, with a few simple ingredients. The best part is, no added chemicals and preservatives! Fun fact: Did you know March 6th is a National Oreo Cookie Day? Here are the incredients and the method through which you can replicate the iconic cookies in your house. Fun Fact: Oreos are the world’s best selling cookies! Sift together the: flour, baking soda, salt and cocoa powder in a large bowl. Then using a mixer, cream the butter and sugar until light and fluffy this takes about 3-5 minutes. Add the eggs one at a time, being sure not to add them all at once or you’ll end up with huge lumps; add them until each egg is well incorporated. Then add the vanilla, mixing well. Add the dry ingredients and mix just until incorporated, be sure to use a spatula to scrape the sides and the bottom of the mixing bowl. Repeat with the other piece of dough. Refrigerate both rectangles (covered with the wax paper to prevent it from drying out or forming a skin) until firm, for at least 1 hour or you may store it in the refrigerator for a week. Using a 2-inch round cutter, cut the dough into circles. Place the cookies about 2 inches apart on ungreased/unlined baking sheets, and chill the dough again for 20 minutes. At this stage be sure to preheat the oven to 325 degrees. Bake the cookies until they are well baked and slightly darker around the edges, for about 18-20 minutes. Cool on wire racks. Fun Fact: The name remains a mystery. Oreo has seen several name changes. The origin of the word “Oreo” might be from the French word for gold (or) because the packaging in the beginning was gold, but no one knows for sure. While the cookies are cooling it’s time to make the filling. Then in a small sauce pan Stir together the sugar, corn syrup, water, and salt over high heat. When the sugar syrup comes to a boil, reduce the mixer speed to low (Make sure the speed is slow or the syrup may burn you while it’s being mixed), slowly add the syrup into the egg whites a little at a time to warm them. (If you add too much syrup at once, the whites will scramble.) Continue until all the syrup is added. Then Increase the speed to high and whip until stiff and glossy, about 7 minutes. Add in 1 tsp of vanilla and whip 2 minutes more. Flip half of the cookies upside down and top each with 1 level tablespoon of filling. Press the remaining cookies on top to make sandwiches, and voila oreos ready in no time! Of course you can change up the recipe as you wish. You can even try out new fillings, or add in a few nuts or maybe just eat the entire bowl of filling all by itself! Be sure to try out this recipe and leave your suggestions in the comments below and tell us which famous dish you want ‘Cook Like a Pro’ to share with you. No pictures of the process or end product? Author too insecure about her cooking abilities? You’re welcome, PR guy. For a change, try implementing some of the feedback you get. For a change, try using constructive tone rather than a hostile one. Your kind feedback is always welcome! I guess this site is not a tech blog anymore….. any ways regarding this post i doubt anyone would bother reading it without any videos/photos. Koi bana k taste karwaye humain. Phir dekhtay hain kaisi bani hain cookies.